Lock Straps, Super Siphons, A/O Coolers, magnetic Holsters, and more. Anyone want to part with their stock harness off of their Fox or Desert edition? Looking for a set of the retractable ones. 2017 prediction ? Any changes or just new colors ? Racer tech Springs medium or heavy? whose running 32’s on there rzr 1000? im looking for a set that are simular to the big horns that came on it but trieing not to break the bank..lol. they are 29x11x14 back and 29x9x14 front. if im useing my stock rims what lee way do i have as far as width goes? I bought a 2009 rzr 800 LE off a guy about three weeks ago. There is a ton of play in my steering and I believe it’s the tie rod ends. Probably 2" of play and it’s scary to drive sometimes. My problem is that the guy I bought it from bought it as it was. It has a 6" lift on it and aftermarket shocks, so when I look online trying to buy new tie rod set for front, I don’t know what I need to buy because I’m sure stock isn’t going to fit. I was looking at racer tech and found some good ones, but I honestly don’t know what I need to buy because I don’t know what is going to fit. How do I figure this out? Question about Racer Tech Medium rate Springs……..
Is the ride noticeably smoother? Is there more ground clearance over stock springs? Is there less spring sag? What is the difference in spring rate in OEM vs. Racer Tech? Will I be happier with these new shock springs? My riding is general riding up the woods, not fast, with some rocky trails, but not a real lot. Not interested in going too fast, but a nice general ride with some rips where warranted. Usually just me (180 lbs.) with about 30 lbs. of gear. Racer Tech site formula says to go with medium rate when weight figures punched in. I don’t want to waste my time if I won’t be happy. Just looking for a smoother ride with enough ground clearance without a lot of preload. Currently have ground clearance of 11.50" on front and 10" rear without me in it. Thanks. 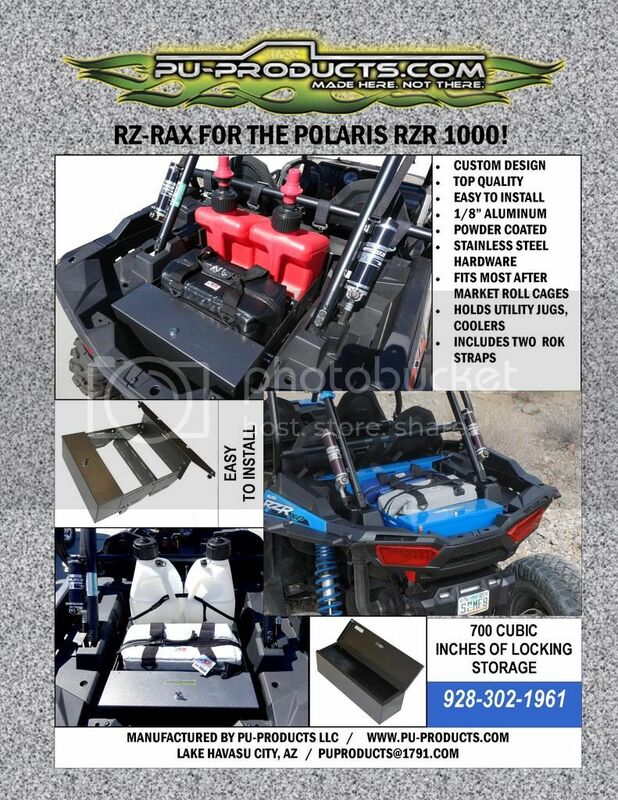 what is a 2013 Jagged X stock cage and OEM polaris roof worth? Hey guys I’m looking for something to put on my windshield to keep it from fogging up here in northern wi. Any insight to what works best would be great.